Meeting Carl and Riss outside Limassol we headed for Phassouri Reed Beds. I managed to catch sight of the only two European Bee-eaters we found all day and we also saw a Common Kingfisher, at least three Eurasian Sparrowhawk, a Water Rail, a lone Greater Short-toed Lark, several Red-backed Shrike and two Common Snipe. There were plenty of Common Stonechat as well as one Whinchat. We saw a flock of Greater Flamingo flying over the Gravel Pits where we also watched a single Honey Buzzard gaining height being mobbed by several Hooded Crows. There were at least three hundred Greater Flamingo on the main Salt Lake which we saw in the haze as we headed for Bishop’s Pool. The water levels there have risen meaning that no waders were present but a few wintering Teal and Northern Shoveler had arrived and we had good views of two of the resident Ferruginous Duck. Two Grey Wagtails were flying around the area and as well as several Willow Warblers in the vegetation we found at least one Chiffchaff and a Lesser Whitethroat. A Western Marsh Harrier was quartering the reeds but being ignored by the waterbirds. Driving down Lady’s Mile we picked out two Spectacled Warbler and another Red-backed Shrike. A few waders were on the mud – some Little Stint, Dunlin and Kentish Plover. From the hide at Zakaki we watched two Common Kingfisher, several fighting White Wagtail, a Red-throated Pipit, a couple of Yellow Wagtail, a Water Rail disappear quickly into the reeds and two Common Snipe. We had been searching the reeds for a Bluethroat which finally Carl found and we watched it hurry through the bottom of the reed stands in front of us. Just as we were about to leave two unusual looking doves flew in – two Stock Dove. 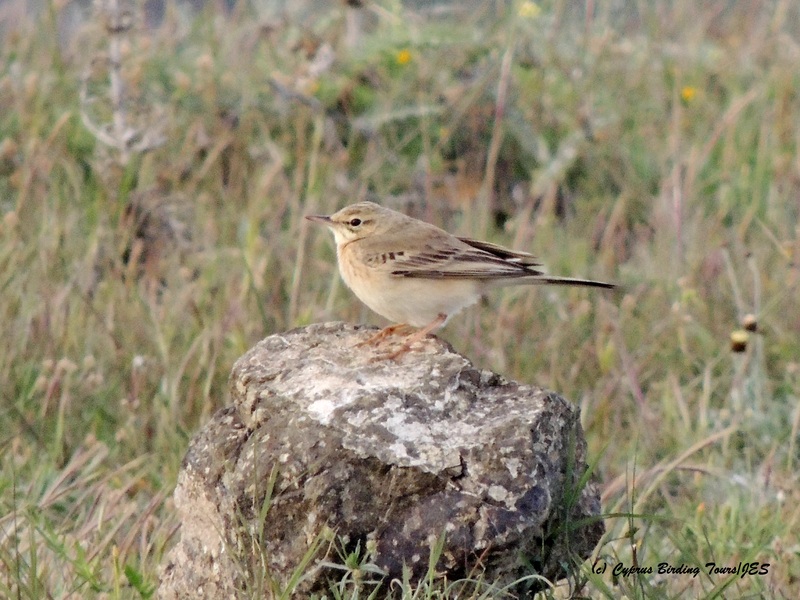 Unfortunately they left as quickly as they flew in but we were able to get a good look at this uncommon bird for Cyprus. We returned to Phassouri to eat our lunch and were treated to a fly past from a migrating Black Kite. We saw a migrating Common Buzzard as we headed for Kensington Cliffs as well as six Honey Buzzard that seemed to be searching for trees in which to roost. It was windy at Kensington Cliffs but we were treated to an aerial display by at least five Eleonora’s Falcon there. 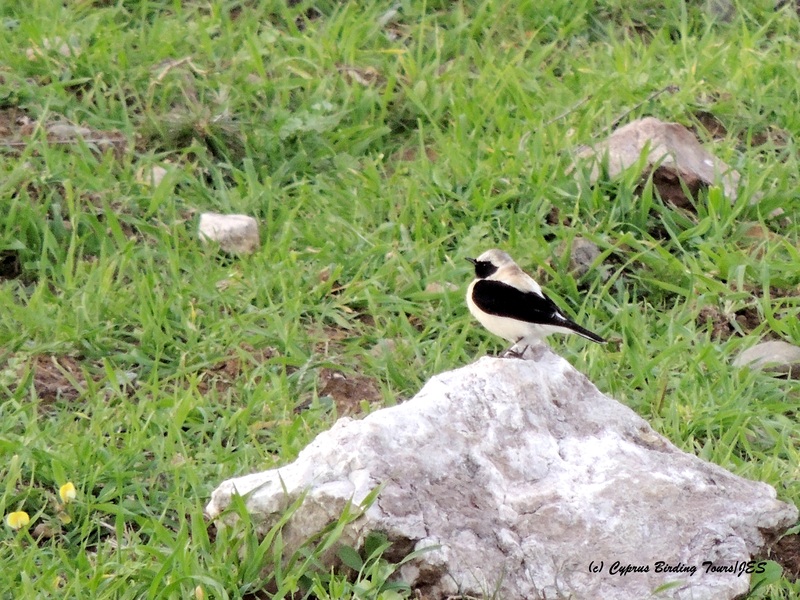 I then suggested we visit Germasogeia Dam but unfortunately the lack of water at the Finikaria end of the dam meant that we saw very little more bird life – a couple of Grey Herons were around, Sardinian Warbler were in the scrub and Spanish Sparrow were in the bushes. We returned to Zakaki again and finished the day there. We had seen nearly sixty species and had a very enjoyable day. 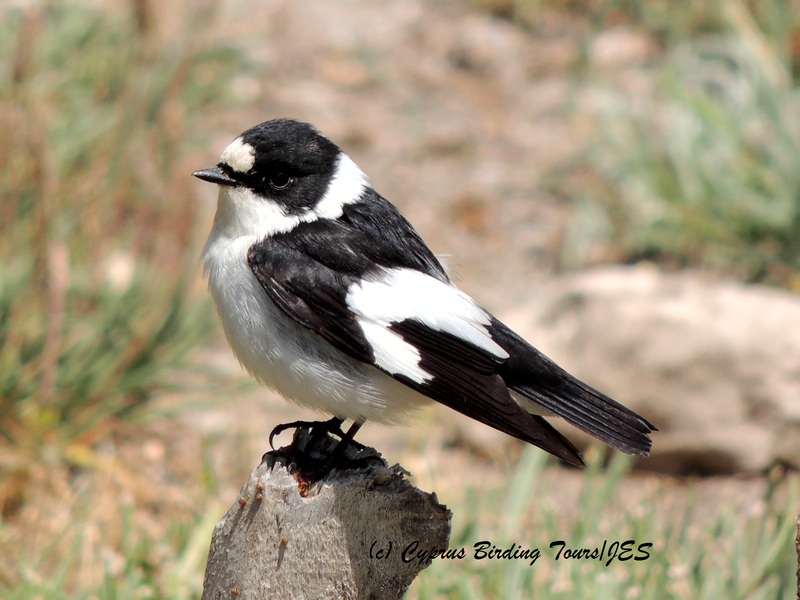 Categories: Cyprus Birding Tours Trip Reports | Tags: Akrotiri birds, Black Kite, Bluethroat, Cyprus Birding, Cyprus birds, Cyprus birdwatching, cyprus trip reports, Eleonora's Falcon, European Honey Buzzard, Germasogeia Dam, Greater Flamingo, Kentish Plover | Permalink.